Having the kids back home means fun summer projects and spending quality time with the family. 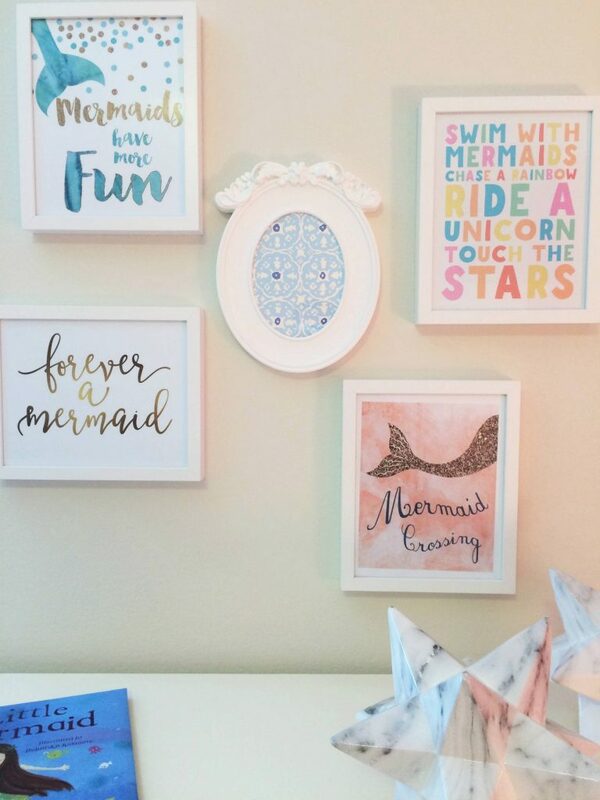 A fun and inexpensive way to get the whole family involved is creating a wall gallery with your children’s favorite artwork, quotes or portraits. Framing items that you and your children love is a great way to bring in the family’s personality and tell your story. 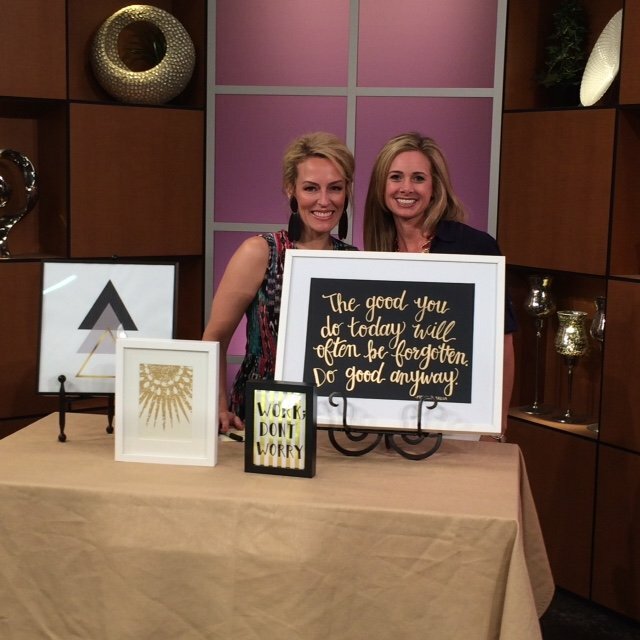 In our latest segment on NBC’s KXAN Studio 512, Heather shared her favorite tips on how to create the perfect wall gallery fit for your home and style. If you want a clean, symmetrical look, we suggest using the same sized frames. Below is a picture of a recent install project using the same sized frames to showcase a family’s travel photos in black and white. Depending on the wall space available, there are so many different sizes of frames to choose from! Another look is a ‘mix proportion’ that includes a variety of sized frames. Below is a recent design project in which we designed a wall gallery with our client’s favorite quotes and sayings. 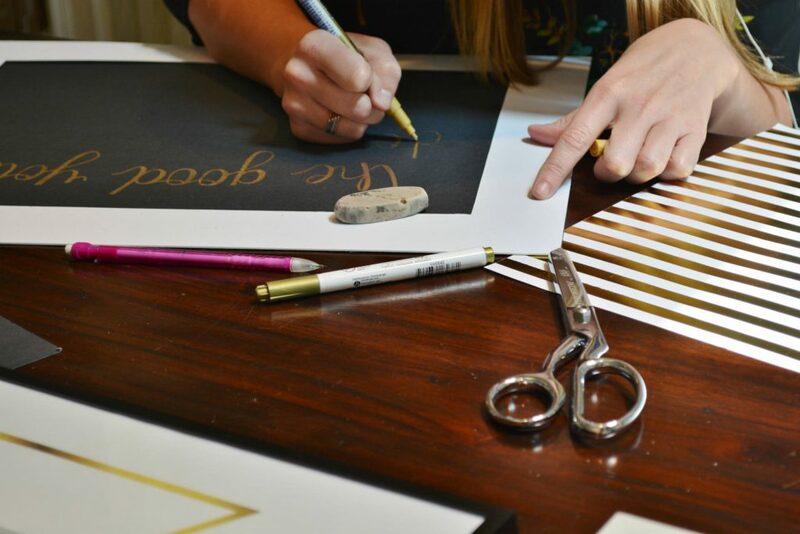 Sarah, our talented Design Operations Coordinator, was able to hand draw so elements on colorful paper or wallpaper with a paint pen. More pictures below! The easiest way to map out the look you want, is with scraps of paper in each shape or use painters tape to outline each shape on your desired wall space. 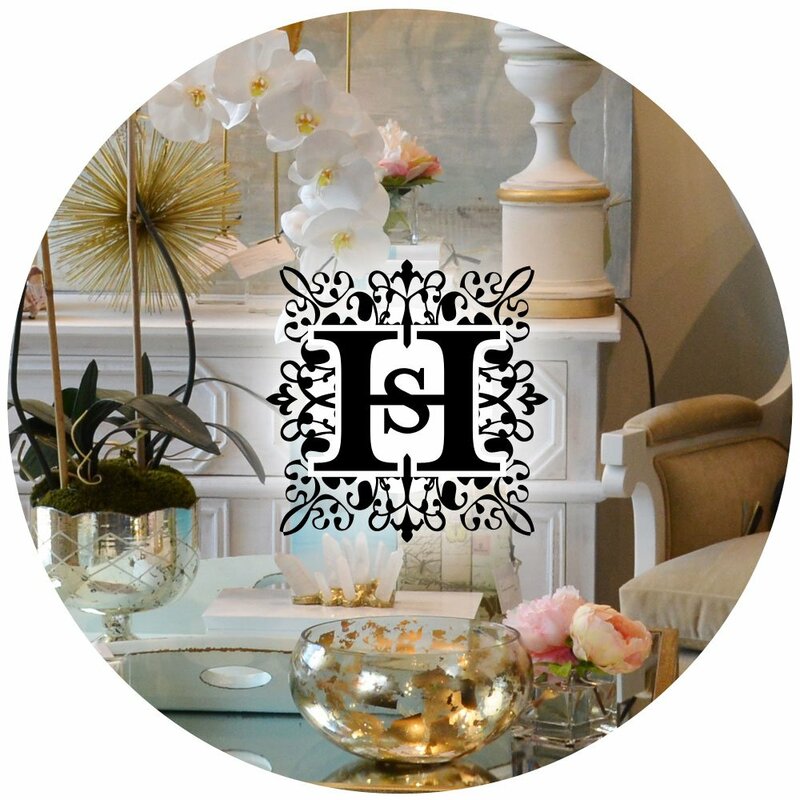 You can also visit Pinterest for wall gallery layout inspirations! 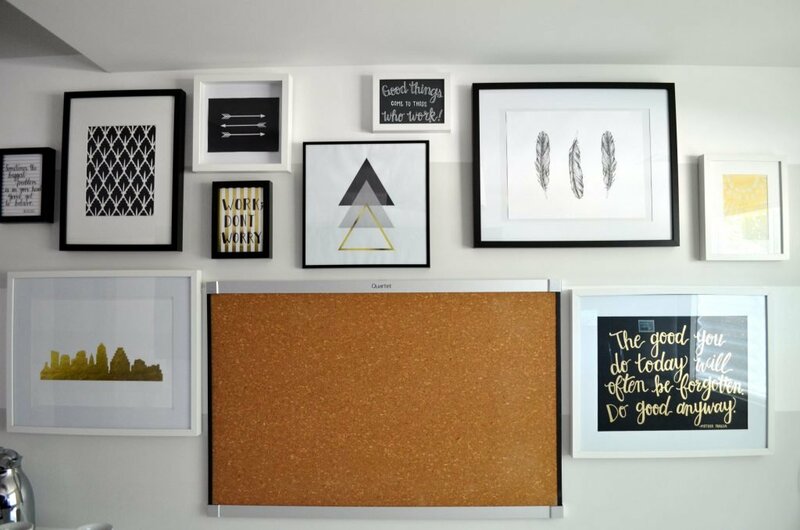 Create a unique wall gallery that incorporates a mixture of circled, squared, or rectangular shaped frames. If you choose the ‘mix proportion’ route, we suggest incorporating different colors and textures, to bring out your personality and style of your home. This is the part where you can really be creative. Frame your children’s favorite art work, portraits, or quotes. The online store Etsy, is a great source for all kinds of prints and graphics to download, cut and frame. Another unique frame filler can be mixing scrapbook paper or wallpaper scraps with your children’s drawings, or quotes. 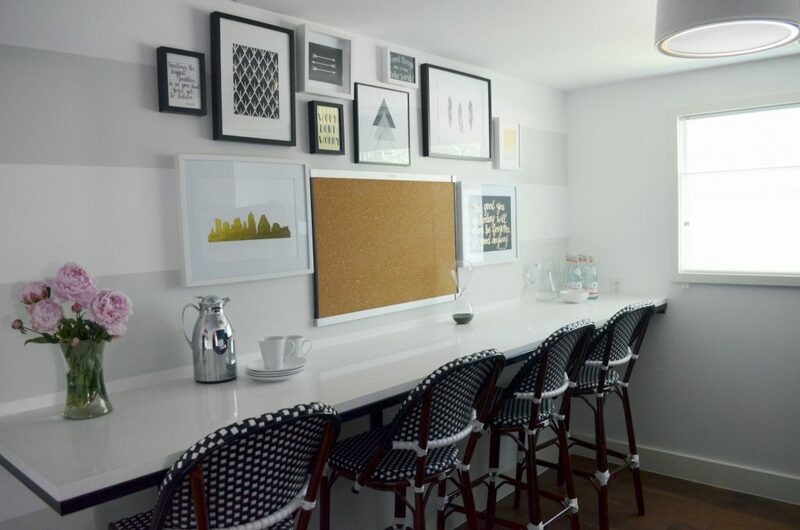 With the look of stylish paper and wallpaper pieces, our client’s fabulous wall gallery came to life! Gallery walls are a fun and creative way to share your family’s favorite artworks or drawings. We hope you enjoy creating your own!